Outer barrel made by CNC, 6061 T6 aluminium, light hollow profile, including two barrel spacersand a standard hopup unit. 650 mm lightweight carbon outer barrel made by CNC AL 6061 T6 and carbon fiber tube. 3 barrels spacers are including. 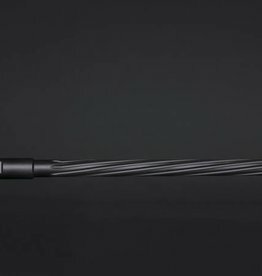 The S+ series by TNT Studio have the same benefits of a TNT Studio 6.03mm barrel with the addition of a micro rib directly below the entrance of the inner barrel.